Wonderful vacation home on the Atlantic Ocean! This 3 bedroom, 3 full bath and one half bath furnished home offers plenty of room for your family vacations or income from rent to visitors to Saint Augustine. 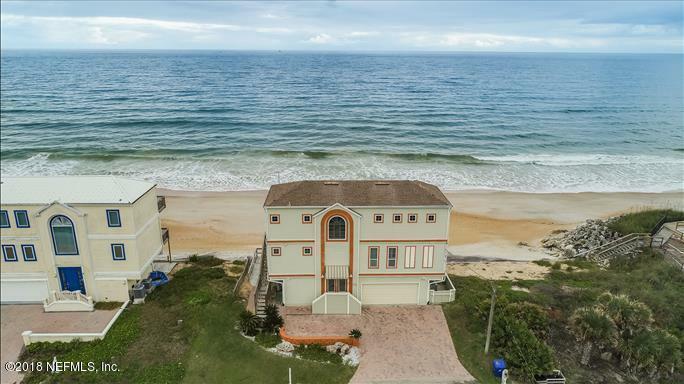 Rare 120 feet on the ocean with room to expand the house, or build an outdoor play-space - ( summer kitchen, fire pit, perhaps?) or additional parking! 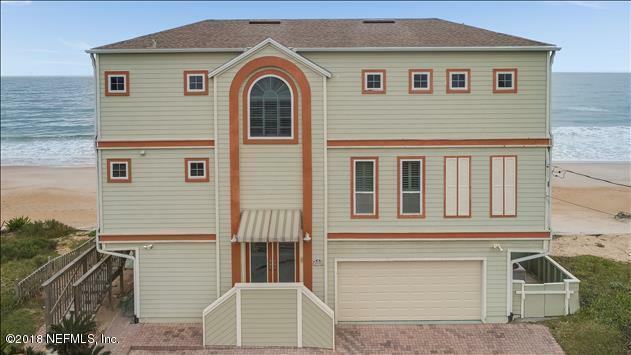 Bulkhead, two car garage, balcony off every bedroom and much more! Listing courtesy of The Legends Of Real Estate. © 2019 Northeast Florida Multiple Listing Service, Inc. All rights reserved. The data relating to real estate for sale on this web site comes in part from the Internet Data Exchange (IDX) program of the Northeast Florida Multiple Listing Service, Inc. Real estate listings held by brokerage firms other than The Hanley Home Team at Keller Williams Realty Atlantic Partners Southside are marked with the listing broker’s name and detailed information about such listings includes the name of the listing brokers. Data provided is deemed reliable but is not guaranteed. Data last updated 2019-04-23T22:24:23.523.